But they are all so amazing. I think I will "switch them" around a bit. For fun. Halloween in outer space! Thanks again! You do very nice work. I was happy to do them for you! Thank you so much Brandi! I love them all! One thing I have learned is that a Tink can never have too many outfits! Woo hoo! Thanks!!! I love my new clothes! They fit perfectly! o o o, I'm so excited to be a monkey!!!!!!!!!!!!!!!!!!!!!!!!!!!!!!!!!!!!!!!!!!!!!! THANKS BRANDI! I'm baaaaack with more avatar questions. Do I still have my fall wardrobe that you originally designed for me way-back-when? I can't believe the seasons have rolled around again, and still no Kyron. Thanks for your beautiful work! At least there is something pretty in this whole sad case. If you'd like to use one of these, here they are. If you'd like a new design for this year, let me know. Indeed, too many sad cases. Way too many. If you'd like one, leave a post! Do you have something for me for either Halloween or fall? Thank you! Your Halloween designs are on the scary side, (how do you like yourself as a bat? 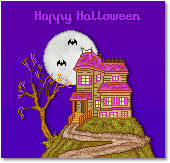 LOL) so if you'd like a cute design, rather than scary, let me know. It's good to hear from you, AZSunny. Love them!! thank you so much! I am a bat monkey! Thank you so much for the beautiful picture of Nordie. Could you possibly do one small enough for an avatar with him laying down? or whatever will fit. I'll work on that today, sister. Page created in 4.452 seconds with 19 queries.